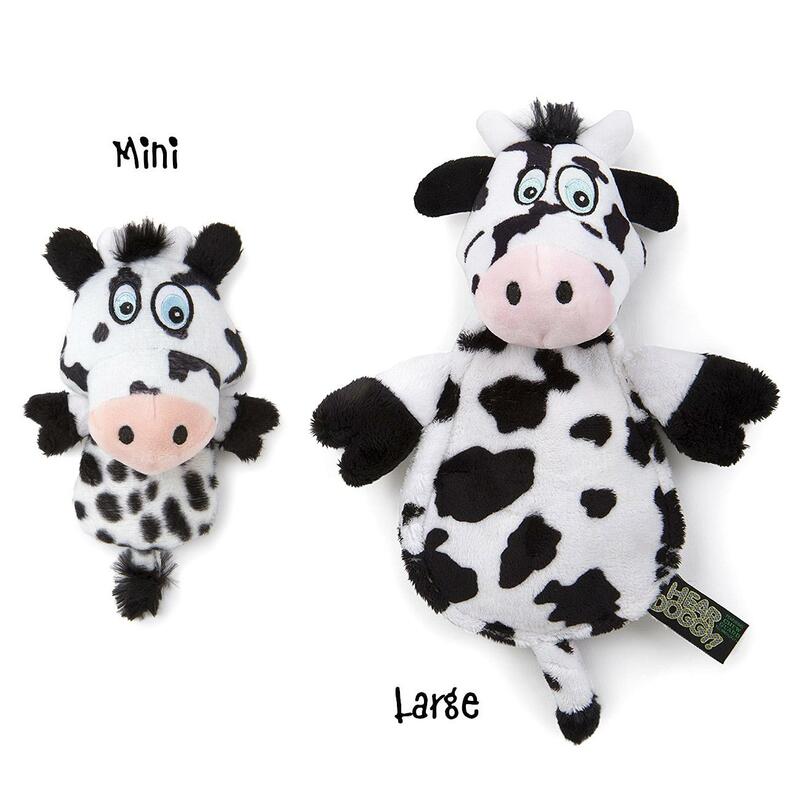 -- Select a Size -- Mini - 8 " Large - 12"
Mooove over loud squeaking toys! 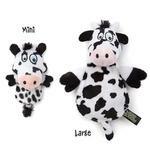 Keep the fun but dismiss the noise with the HEAR DOGGY!® Flatties Cow with Chew Guard Technology™ and Silent Squeak Technology™ Plush Dog Toy. Give your pup a great time while giving yourself a break from noise with the HEAR DOGGY!® Cow Flattie dog toys with an ultrasonic squeaker. These durable plush dog toys feature a durable mesh liner and reinforced seams to give your pup lasting enjoyment. Do you work from home, or bring your dog to the office? 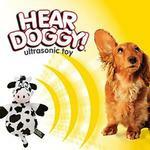 Our HEAR DOGGY!® Flatties are the perfect noiseless dog toys. These innovative dog toys offer all the fun of a traditional squeaker, but HEAR DOGGY!® squeakers are tuned to an ultrasonic frequency between 24 and 28 KHz that is silent to people but not dogs. 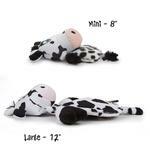 This colorful, soft and silly, understuffed dog toy is available in two sizes to suit most breeds. The mini is perfectly sized for the smaller breeds and puppies, while the Large suits medium to large breeds. These soft plush toys are made more durable with Chew Guard Technology™ which is a special manufacturing process that adds a super tough and durable lining to soft plush toys. HEAR DOGGY!® gives pet parents the best of all worlds: innovative products, stylish designs, environmental responsibility, and exceptional value with a variety of Plush Silent Squeaker toys to meet a dog's needs for play, fun and a pet Parent's need for quiet! 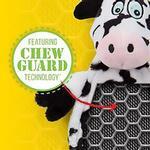 HEAR DOGGY!® products are designed to meet child safety standards and are backed by our 100% satisfaction guarantee. If a customer is dissatisfied with a HEAR DOGGY!® product for any reason, the manufacturer will replace or refund it. I am amazed at the variety of styles and colors within styles that BaxterBoo offers and have shared the website info with many people who have commented on what my dog was wearing.